It seems like biblatex is the way of the future for handling references in latex. The biblatex documentation file is a massive 288 pages, and not an easy read for beginners. Are there any walk-through or general guides out there on how to use biblatex? I have not found any. Are there any walk-through or general guides out there on how to use biblatex? I have not found any. I'm afraid the reason for your lack of success in finding a walk-through or general guide to the biblatex package is rather simple: No such document appears to have been written so far. As you note, the package's main documentation is very complete; however, it doesn't qualify as a user guide. To be sure, the document does not claim to be a user guide; it wisely notes that it is a "systematic reference manual". That said, there are some online resources that are quite helpful to get beginners going on their way toward using the biblatex package competently. Some of these resources are contained in the questions (and associated answers) previously posted on TeX.SE and mentioned in the comments posted above. I heartily recommend that you study the information provided in those places. 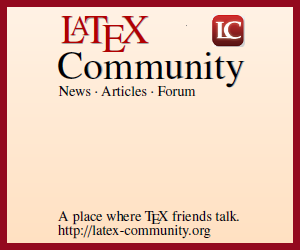 There are also quite a few biblatex experts who participate regularly in TeX.SE; questions posted on this site about biblatex specifics always appear to be answered quickly and in very helpful ways. Is there an biblatex equivalent to natbib's citealp command?